Microfluidics in System Biology Workshop has been hosted by Yale West Campus Cleanroom on May 19, 2018. 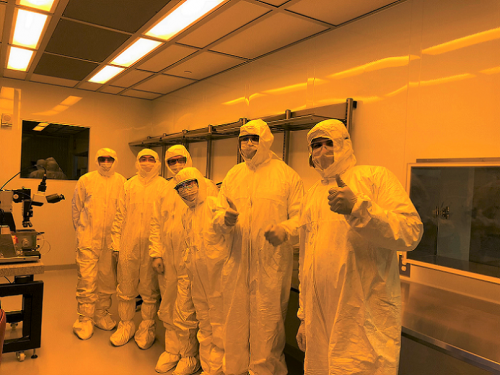 Nineteen participants in three groups attended cleanroom tour. The device fabrication processes including spin coating, UV exposure using mask aligner, post-exposure baking and development were demonstrated. A 3D picture of device was generated using Zygo optical profiler. If you are interested in cleanroom tour, please contact us.